Police investigating two serious attacks on women in Hounslow have arrested a man in connection with their investigation but they continue to request witnesses and information. Following a series of police appeals, including the issuing of a CCTV image of a suspect, an officer on a high-visibility patrol at Hounslow train station recognised the man at around 10pm last night (21 August). The constable, who only recently took up her post with the Metropolitan Police, decided to make an arrest. The man, aged 20, was taken into custody at a west London police station, where he remains. On Tuesday 7 August, shortly before midnight, in Hanworth Road, near the junction with St Stephens Road, a 19-year-old woman was approached from behind. 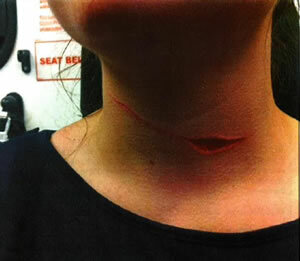 She was grabbed by the attacker and cut with a bladed item across her neck. On Friday 17 August, at approximately 1.30am, in Whitton Road, near the junction with Murray Avenue, a 26-year-old was approached from behind and cut across her face with a bladed item. 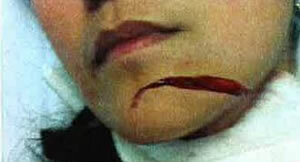 Both women were taken to hospital and required stitches for their injuries. Officers would urge a male cyclist who came to the aid of the victim in the Hanworth Road incident to call them immediately. He may have information that could help the investigation. Detectives would also like to speak to anyone in the area that has been followed in the last few weeks, or who has noticed a man fitting the description acting suspiciously.